The Mafia and anti-Mafia Museum of Corleone was inaugurated on 12 December 2000, in the presence of the highest authorities of the Republic, including the President of the Republic Carlo Azeglio Ciampi and the deputy Secretary-General of the United Nations Pino Arlacchi, on behalf of Secretary-General Kofi Annan. 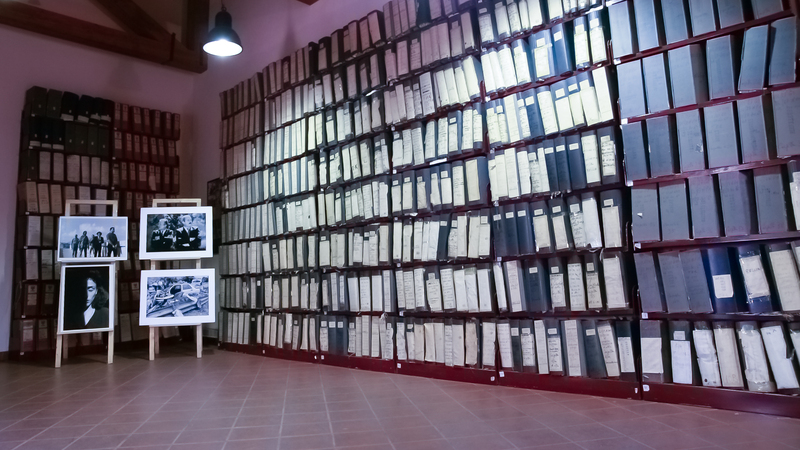 The documents contained in the museum were given to Corleone by the Criminal Chamber of the Court of Palermo. They are a testimony to the work of magistrates like Giovanni Falcone and Paolo Borsellino who paid with their lives for their commitment to the fight against the Mafia. Among the folders there are the confessions of the famous pentito ("repentant") Tommaso Buscetta to Judge Falcone. In the Room of the Messages, visitors may see the photos of the well-known, Sicilian photographer Letizia Battaglia who had the courage to go on site to capture tragic photographs of Mafia murders. She was able to capture significant details that made her shots documents detailing the murder methods used by the Mafia in the 1970s–1980s. The different positions of the bodies allow visitors to reconstruct the Mafia's strategy.